May 1900: enrolled into the 2nd Voluntary Battalion, the Durham Light Infantry. Aged 18. 27 February 1901: 2nd Field Service Company, Northumberland Fusiliers regimental no.9075. Aged 19. 22 June 1902: discharged Aged 20. 11 February 1919: disembodied Aged 37. 19 July 1920: 6th DLI reg.no.4438693 Aged 38. In December 1887, the Durham Rifle Volunteer Corps underwent a reorganisation and became the 5 Volunteer Battalions, Durham Light Infantry. The 2nd served volunteers from the Bishop Auckland, Middleton, Stanhope and Barnard Castle areas with its HQ at Bishop Auckland. In January 1900 an appeal was made to the Volunteer Battalions to raise a company of 116 all ranks to reinforce their regular battalions serving in South Africa. Many more men in County Durham responded to this call than were required. The 1st Volunteer Service Company formed from the 5 Durham Volunteer Battalions embarked at Southampton 23rd February 1900 and reached the 1st Battalion, DLI early in April soon after the relief of Ladysmith. It was camped at Elandslaagte and shared the same fortunes as the 1/DLI until 9 October 1900 when it was sent to Van Reesnen as part of the Drakensberg Defence Force. It remained there until April 1901 and embarked for home at Durban 8 May 1901. The 2nd Volunteer Service Company sailed from Albert Dock (Liverpool?) 15 March 1901 and joined 1/DLI 23 April 1901 at Eden’s Kop near Heidelberg becoming an integral part of the regular battalion. It was relieved at Bankop, on the Swaziland border by a 3rd Volunteer Battalion in April 1902. The 2/VSB embarked at Cape Town 12 May 1902. The 3rd Volunteer Service Battalion embarked 9 July 1902. The Durham Volunteer Battalions contributed 10 officers and not less than 400 men. 27 February 1901: Thomas Rowlandson, aged 19, served with the 2nd Field Service Company, Northumberland Fusiliers (regimental no.9075). It therefore seems probable that he was with the 4th Volunteer Service Battalion with the 2/Buffs and later attached to the 2/NF. Accordingly, it is likely that he served in South Africa between April 1901 and May 1902. Peace was signed 31 May 1902. 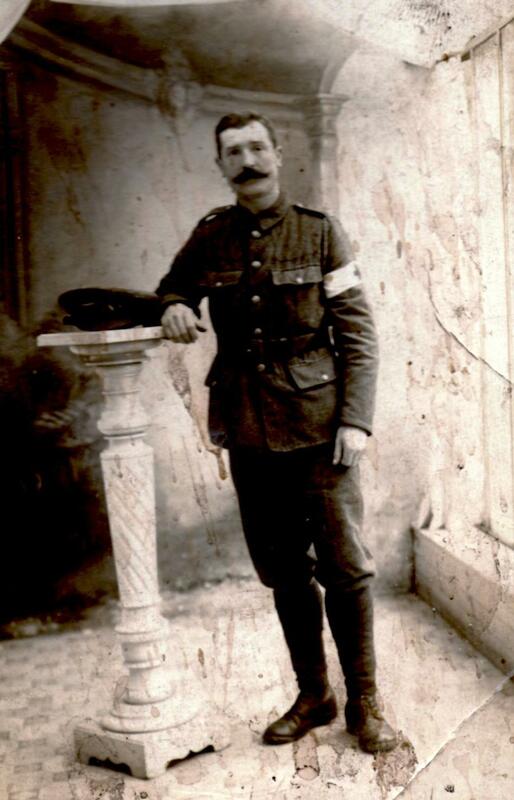 Thomas Rowlandson was discharged 22 June 1902 and immediately re-joined the 2nd Voluntary Battalion, DLI. In grateful remembrance of the members of the 2nd Vol. Battn. 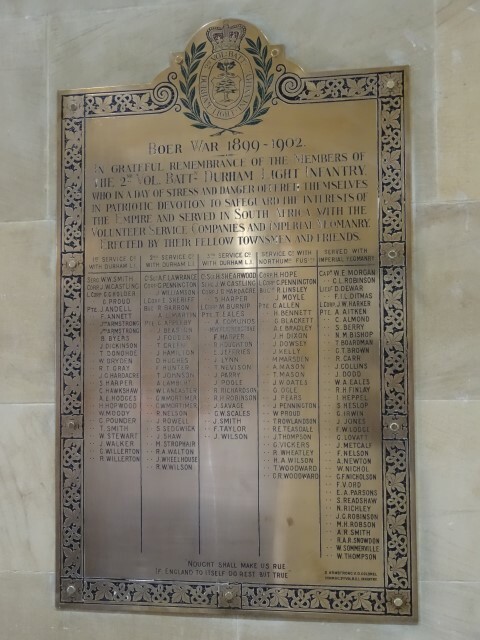 Durham Light Infantry who in a day of stress and danger offered themselves in patriotic devotion to safeguard the interests of the Empire and served in South Africa with the Volunteer Service Companies and Imperial Yeomanry. Erected by their fellow townsmen and friends. 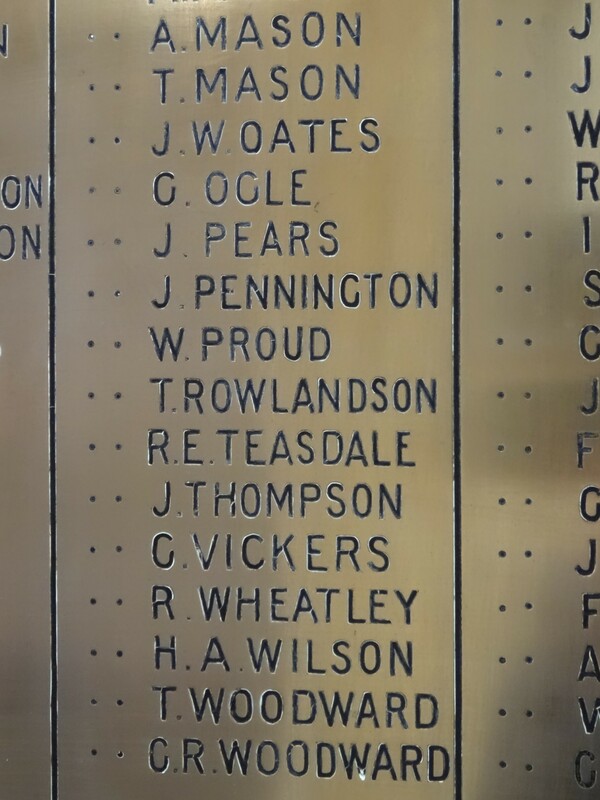 The names and rank of those serving with the following companies and yeomanry is given. 1st Service Co. with Durham L.I. 2nd Service Co. with Durham L.I. 3rd Service Co. with Durham L.I. Under the Army reforms of 1908, the Volunteer Forces were dissolved 31 March 1908. The Territorial Force was inaugurated the following day when it was organised into regional Divisions, area Brigades and local Battalions. Tom’s good friend was Private W. Castle and a photograph of him is provided below. 1 April 1908: The volunteers were reorganised on the lines of the regular army, in brigades and divisions with staffs of regular officers, complete with all their ancillary services. Under the new scheme the counties of Northumberland, Durham and Yorkshire supplied 2 divisions, the Northumbrian and West Riding, to the former of which all the Durham Territorial Battalions were assigned. A Division was in effect a self-contained army of approximately 18,000 men including infantry, cavalry, artillery, engineer, medical, supply and signal units. The Northumbrian Division was typical, consisting of three infantry brigades, the Northumberland, the York and Durham and the Durham Light Infantry (DLI) Brigades. Each brigade was composed of four infantry battalions. The 1/VB became 5th Battalion Durham Light Infantry with HQ at Stockton. The 2/VB became the 6th Battalion Durham Light Infantry with HQ at Bishop Auckland (Bishop Auckland 2 companies, Spennymoor 1, Crook 1, Stanhope 1, Barnard Castle 1, Consett 2). The 3/VB became 7th Battalion Durham Light Infantry with HQ at Sunderland. The 4/VB became 8th Battalion Durham Light Infantry with HQ at Durham. The 5/VB became 9th Battalion Durham Light Infantry with HQ at Gateshead. Between 4 August 1914 and 15 July 1918, 1/6 DLI came under the orders of 151st Brigade 50th Division and between 16 August 1918 and 6 November 1918 it came under the orders of 117th Brigade 39th Division. 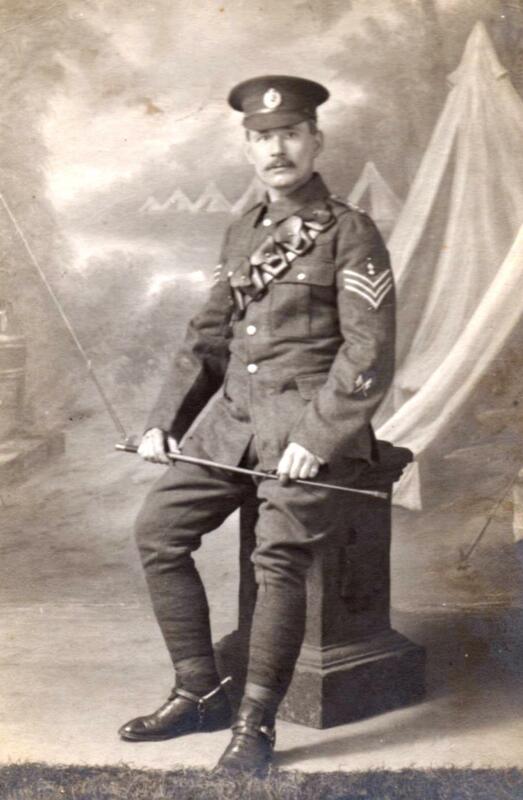 Thomas Rowlandson served with the Royal Engineer Signals attached to the 50th Division known as 50th Divisional Signal Company. At the outbreak of war, the Divisional Royal Engineers were the 1st and 2nd Northumbrian Field Companies commanded by Major G.C. Pollard and Major J.E McPherson respectively and the Northumbrian Divisional Signal Company under the command of Captain W.H. Dodds. 28 July 1918 – 13 September 1918: sick, pneumonia, No.5 Stationary Hospital, Dieppe. Probably Spanish Flu.